Million Air Mechanical is a locally owned and operated HVAC company focused on residential furnace and air conditioner repair / installation. Our business has been built over the past 15 years by focusing on the customer 1st. Million Air Mechanical has been awarded the Angie's List super service award since 2011 and maintain an A+ rating with the BBB. As a licensed and insured HVAC contractor, Million Air Mechanical takes pride in providing our heating and air conditioning services to the entire Denver metro area. Our motto at Million Air Mechanical is "Million Dollar Service at an Affordable Price." Our heating and air conditioning technicians offer the Denver metro with a combined 65+ years of experience in the HVAC industry. As a locally owned company, Million Air Mechanical offers the same quality products and services that larger companies offer but at more affordable prices. Our customer service cannot be matched and our devotion to our customers cannot be beat. We offer 24 hour service to all customers any day of the week. We do a lot of work for local Denver realtors including pre-home inspections of home heating and air conditioning and certifications. If you are in need of a certification or inspection, you or your real estate agent can contact us at (303) 568-3709. We are happy to be one of the Xcel Energy preferred heating and air conditioning companies in Denver. Our HVAC experts will help you with your energy rebates. If you are looking for an energy tax credit, we will be happy to answer any questions you may have. 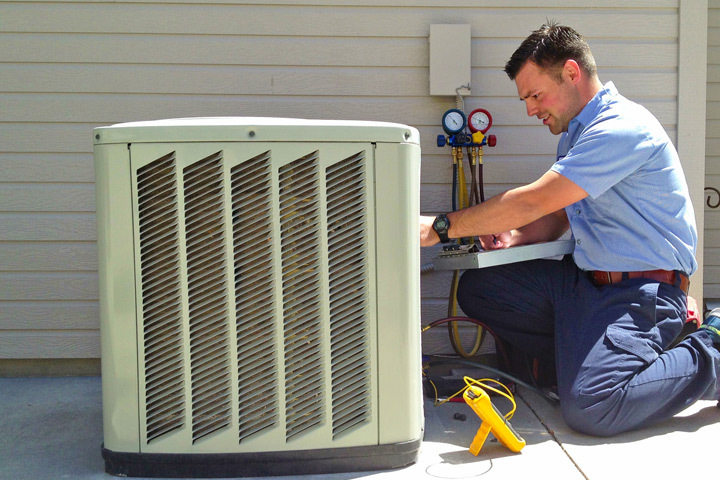 Million Air Mechanical has focused 100% of their business around residential HVAC services. Regardless of whether or not it is a new installation or service, Million Air Mechanical stands ready to assist you with all of your HVAC needs. Want to set up a service call? It is easy and convenient to request and estimate or service call. Simply fill out the form to the left and one of our expert staff will follow up with you immediately! Typically one of our staff is able to follow up within 15 minutes!